Set in the nineteenth century, mostly in France, this play was adapted from Edgar Allen Poe’s short story. It focuses primarily on one paragraph in Poe’s work in which he describes a love triangle as an example of someone being buried alive. The play is told through the point of view of a demon who takes it upon himself to torment the three characters in the play. At times his narration borrows heavily from Poe. Victorine is young and beautiful. Her father has arranged a marriage with a prominent and wealthy banker, but she falls in love with a poor poet/journalist. However, because of the rules that govern her society, her father wins and she marries the banker. Her poet lover criticizes her husband in the newspapers while Victorine wanders about her mansion as a shadow of her true self. One fateful night she falls into a Juliet-like sleep that has all the outward appearances of death. When her lover Bossuet discovers that she has died he arrives at her grave just hours after her funeral and is distraught over her loss. He digs her up only to discover that she is barely alive. He nurses her back to health and takes her to America where they live as husband and wife for twenty years. Thinking they are now safe, they return to France where Victorine is recognized by her husband. A court battle ensues over who is her legal husband. This is much to the enjoyment of their tormenting demon. The play has had two readings, one staged, at the Playwrights’ Round Table in Orlando. 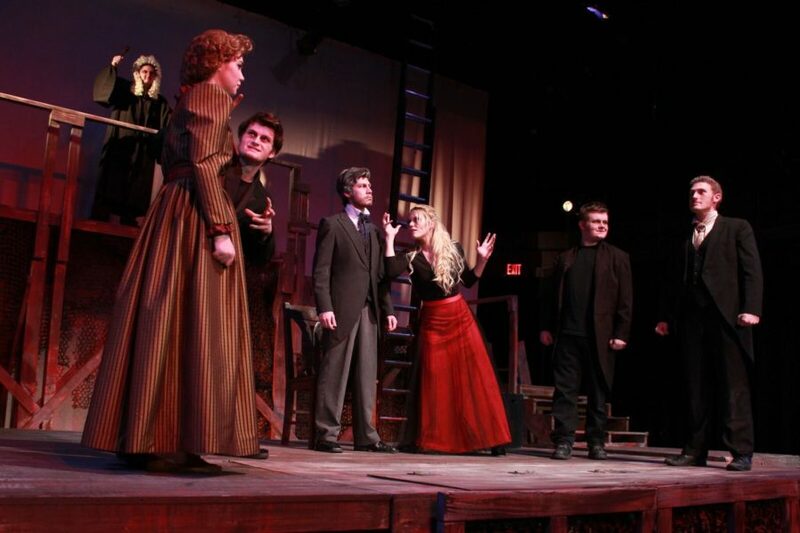 The premiere production was directed by Jon Meyer and presented at Newman University in November of 2016.